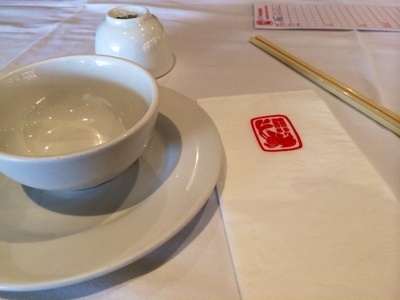 If the amount of patrons seated at a restaurant at any given time is a yard stick to go by of how good the restaurant is, then Hilltop Phoenix Restaurant in Castle Hill is right up there on the list of great yum cha restaurants. Hilltop Phoenix is one of those restaurants that is swarming with patrons day in and day out. The sheer number of asian diners that patronise this restaurant is a glaring testimony to the quality of food being served here. 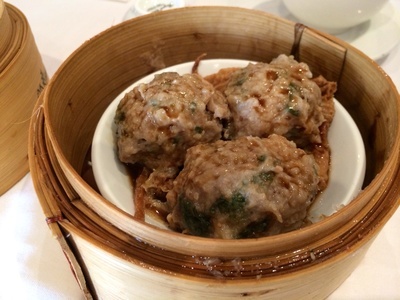 My love for Yum Cha is what made me want to try out Hilltop Phoenix Restaurant. My online reservation did not go through as they allowed only parties of six or more to book online 48 hours before arrival. Despite many advising us we might not be able to get a table without a booking; my husband and I bravely walked in after a move to try our luck. To our delight we were escorted to a table without much delay. We didn't have to wait too long for the dumpling ladies to wheel their carts towards us. Our first choice was three extremely deliciouse BBQ pork buns ($5.20) and savoury pork strips ($5.20). The flakiness of the bun complimented the bite size pieces of pork which were coated with a thick heavenly sweet sauce. The taste was such that I was tempted to order another plate of these buns, but resisted the temptation after being reminded by my husband that there were many more dishes to savour. The pork strips that we had next were cooked in a mild sauce, and came with a full compliment of pork fat. The tender pieces of meat coated in a thin layer of batter tasted heavenly to say the least. It is however not a recommended dish to be consumed regularly in view of the high fat content, but rather as an occasional delicacy. Then came the trolly carrying, among other things, a dish of BBQ pork and a dish of BBQ duck. 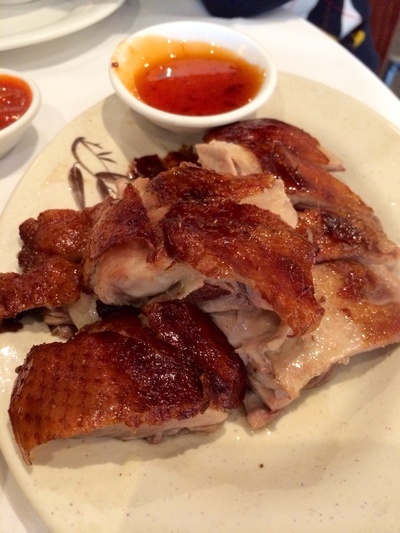 Since we had already tried some pork, we opted to try the BBQ duck. ($12.50) The dish too was to our satisfaction. The duck was cooked to perfection while preserving its moistness and flavour. The sweet sauce that accompanied the duck went with almost every other dish that came after as well. One thing that I never fail to ask for at yum cha restaurants is the thick chilli sauce. The staff are quite generous in serving the sauce on request. Though it is quite hot, the chilli sauce goes with practically every savoury dish that the dim sim ladies bring over on their trollies. After savouring the usual yum cha compliment of dumplings, greens, dim sims and vegetables - we decided to conclude our dining experience with dessert - pancakes and jelly. 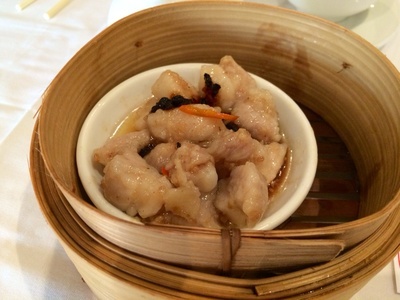 The food here was typical of good yum cha style dining that we were sure we would be returning for more. 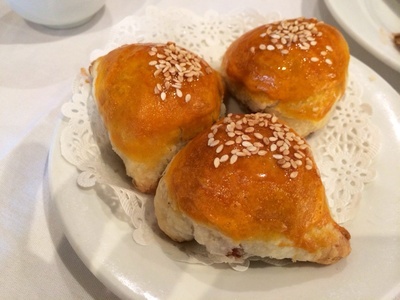 Be warned that the prices at the Hilltop Phoenix Restaurant are slightly higher compared to other yum cha restaurants elsewhere. Since the food tasted great and was very fresh with friendly staff attending to our needs, we did not mind paying that extra bit. 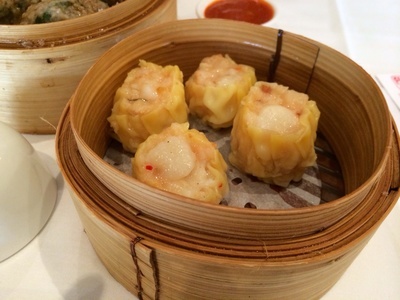 Cost:The price range is around $5.20 - $6.20 a Dim Sim plate. Have you had a close encounter with elephants?